The shorter cruise is also available in the opposite direction. Cruise in luxury while experiencing the great masterworks of Ancient Egypt. From the Valley of the Kings at Luxor to the Temple of Philae at Aswan, there is much to marvel at and enjoy. This cruise is available on the Mövenpick vessels: MS Darakum, MS Hamees, SS Misr and MS Sunray. 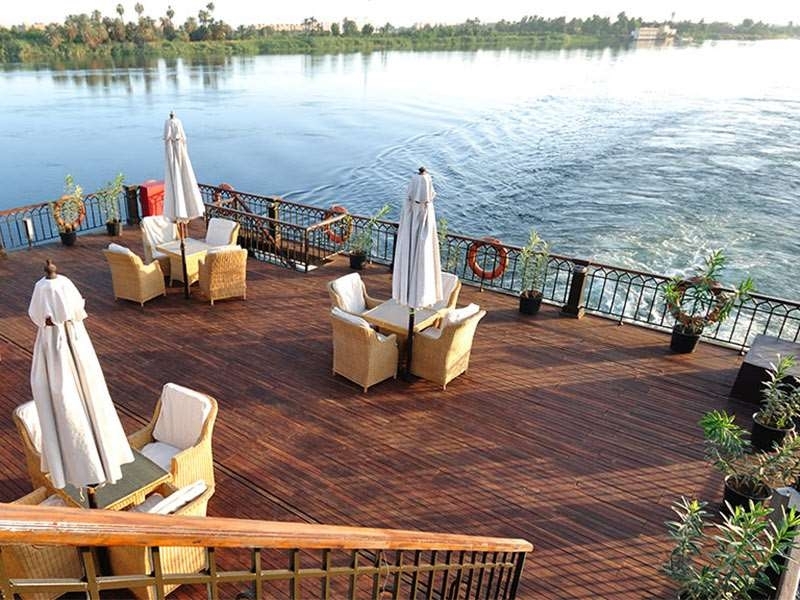 Embark at Luxor and have lunch on board. Stay onboard overnight at Luxor, with lunch and dinner. In Luxor, visit the west bank and the Valley of the Kings, the ancient burial ground of many of Egypt's New Kingdom rulers. There, you will find Tutankhamen's tomb which was discovered almost intact in 1922 and the tomb of Ramses IV. Nearby is the Valley of the Queens, the place where wives of Pharaohs were buried. Nefertiti's tomb is said to be one of the most beautiful in Egypt. It is completely painted with scenes depicting Nefertiti being guided by gods. Then to the Temple of Hatshepsut, which sits majestically under massive cliffs, and is dedicated to Amon-Ra, the sun god. Temple reliefs depict the tale of the divine birth of Hatshepsut. Return to the ship for lunch. The ship then sails to Esna. Stay onboard overnight at Esna, enjoying a welcome cocktail and dinner. The ship sails for Edfu. Enjoy a visit to the Temple of Horus at Edfu. The well-preserved temple is the second biggest temple in Egypt. Inspect the impressive hieroglyphs. Return to the ship for lunch. The ship sails to Kom Ombo, where a visit is made to the Temple of Kom Ombo. Dedicated to two gods, the temple has two identical entrances, hypostyle halls and sanctuaries. Built on an outcrop at a bend in the Nile where crocodiles used to gather in ancient times, the temple is a testament to the importance Ancient Egyptian priests placed in the natural cycles and crocodiles of the Nile. Visit the temple to see mummified crocodiles, clay coffins and spectacular reliefs on the walls. The ship sails to Aswan, while the guests enjoy dinner and an oriental show. In the morning, visit the High Dam. Prepare yourself for a particularly overwhelming sightseeing experience. At over 3.6 km long, the Aswan High Dam is truly impressive. Lake Nasser, the world's largest man-made lake, provides irrigation water and electricity for the whole of Egypt. 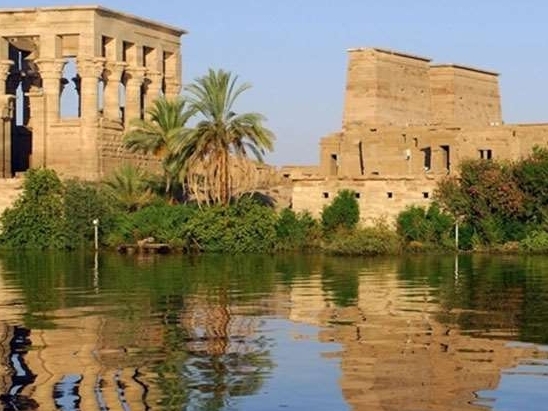 Next, see the Temple of Philae, dedicated to the goddess Isis. The temple is located in a beautiful setting, landscaped to match the original site of the temple which was relocated by UNESCO after the building of the Aswan Dam threatened the site.